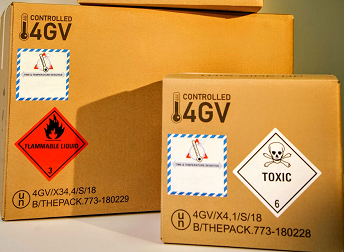 Many products are classified as dangerous goods because of their specific properties. For the transport of these goods it is very critical that they meet all necessary requirements of the (correct) hazard class they belong to. Deze verpakking is te verkrijgen voor Excepted Quanitity (EQ), Limited Quantity (LQ) en Full DG (4GV). Met onze volledig geteste verpakking voldoet u aan alle verpakkingsnormen en -eisen voor het vervoeren van gevaarlijke goederen via weg-, lucht- en zeetransport. Mike Gunningham, Chief Production Technologist with SGS Subsurface Consultancy, presented to the Netherlands SPE Section (Society of Petroleum Engineers) on overcoming challenges in the future of the oil and gas industry, with a focus on both business and technological challenges.